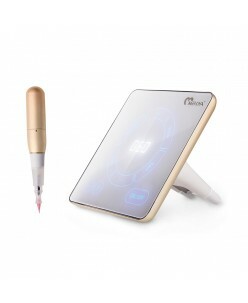 LUMI DIGITAL PADFeaturing a buttonless touch panel made from tempered class. Pre-configured with 4 procedure modes with customizable settings. Dual device compatibility.LUMI PENOne-step assembly with the highest safety standard. Powered by German motor and designed to create the crispest hair strokes and..
Mei-Cha Permanent Make-Up machine "SAPPHIRE PRO"
The Sapphire Elite GM featured the next generation German Motor to offer even more power and greater stability – all from a machine you already love. 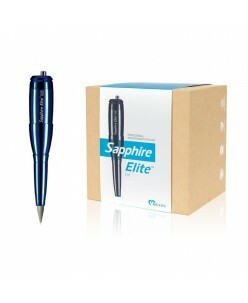 *The Sapphire Elite Kit now includes 5 sets of our new and improved Precision Needle and Tips.Contents: Sapphire Elite Device, Universal AC Adapter, Speed Control, 1 pcs. Sin.. 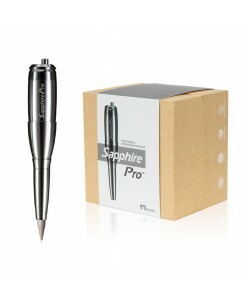 The Sapphire Pro™ with its innovative design and stainless steel casing is lightweight and easy to manage. 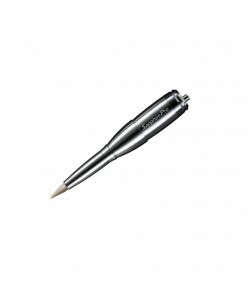 It handles up to an eight prong needle for permanent cosmetic procedures. Designed for comfort and ideal manageability for cosmetic applications. Detachable patented 3E combo needles aids in preventing pigm..